(Bloomberg) — South Africa’s richest man Johann Rupert said “radical economic transformation,” the policy championed by the country’s President Jacob Zuma to reduce racial inequality, is no more than theft. “Radical economic transformation is just a code word for theft,” Rupert said on the sidelines of Richemont’s annual general meeting in Geneva on Wednesday. South Africa’s former graft ombudsman alleged in a November report that Zuma allowed members of the wealthy Gupta family, who are in business with his son, to influence cabinet appointments and the award of state contracts. And a study released in March by a team of academics concluded that Zuma, the Guptas and their allies had orchestrated “a silent coup,” securing control over key positions in the state, enabling them to allegedly steal billions of rand. Zuma and the Guptas deny wrongdoing. A trove of leaked emails dubbed the ‘Gupta Leaks’ have formed the basis for a raft of stories by South African media that have alleged corruption linked to the Guptas and government officials. Zuma’s spokesman Bongani Ngqulunga said he was in a meeting when called for comment. Bell Pottinger LLP, the U.K. public-relations firm founded by an adviser to Margaret Thatcher lost clients and staff over its controversial work for the Gupta family in South Africa and was expelled from the U.K.’s PR trade body last week. It was slammed for stoking racial tensions by mounting a campaign targeting so-called white monopoly capital, and filed for administration on Tuesday. Its targets included Rupert, who has a net worth of $8.2 billion. Bell Pottinger was formerly the public relations company for Richemont, the maker of Cartier jewelry and IWC Schaffhausen timepieces. Zuma’s second and final term as president is due to end in 2019, but his political clout is waning as he prepares to relinquish the leadership of the ANC in December and, depending on who replaces him, he could be forced to step down early. The party’s new leader will also be its presidential candidate in the next elections. Deputy President Cyril Ramaphosa, a former labor union leader who helped draft the nation’s first democratic constitution and made a fortune in business, is favored by many investors. His main rival is Nkosazana Dlamini-Zuma, the former chairwoman of the African Union Commission and Zuma’s ex-wife. On the campaign trail, Ramaphosa, 64, has emphasized the need for inclusive economic growth, while Dlamini-Zuma, 68, has echoed Zuma’s calls for “radical economic transformation” to address racially based income disparities that date back to white-minority rule. 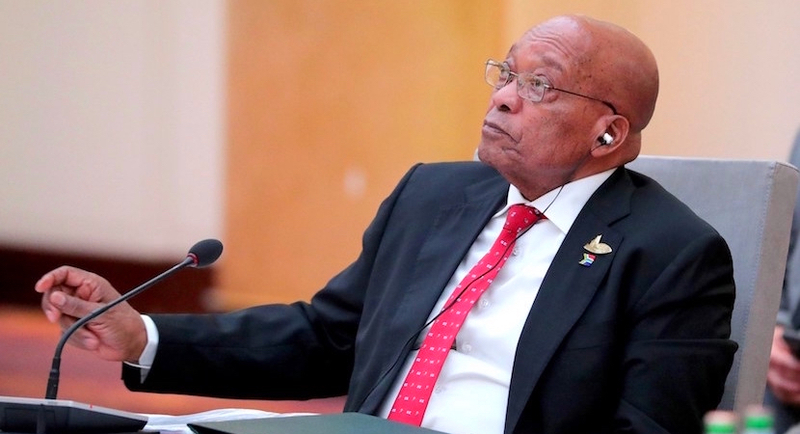 Zuma and his allies in government have proposed expropriating white-owned farmland without compensation and boosting the proportion of mining assets that must by law be owned by black South Africans.